We’re proud to introduce you to the relaunched online home base of Medlin Communications here at MedlinInc.com! 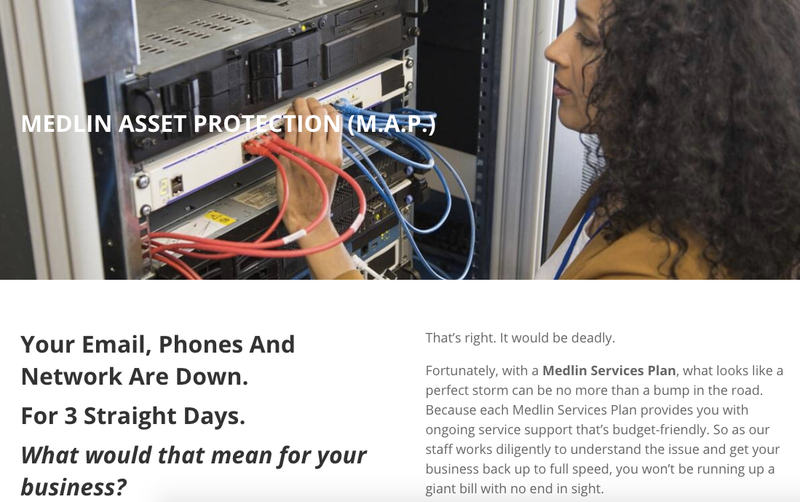 As you look around the brand new Medlin website, we’d like to point out some new features that we’ve added and upgraded for your benefit. Nothing illustrates our team’s thinking in action better than a great customer story and we’ve got several to tell. How we helped Follett expand its national footprint. How we helped Staples expand to a new market. How we helped Crane Composites with a system that saved them thousands of dollars. It’s all here. Stories for big brands and small businesses alike. The challenges. The solutions posed by our team. And most importantly, the results that solidified a strong relationship. 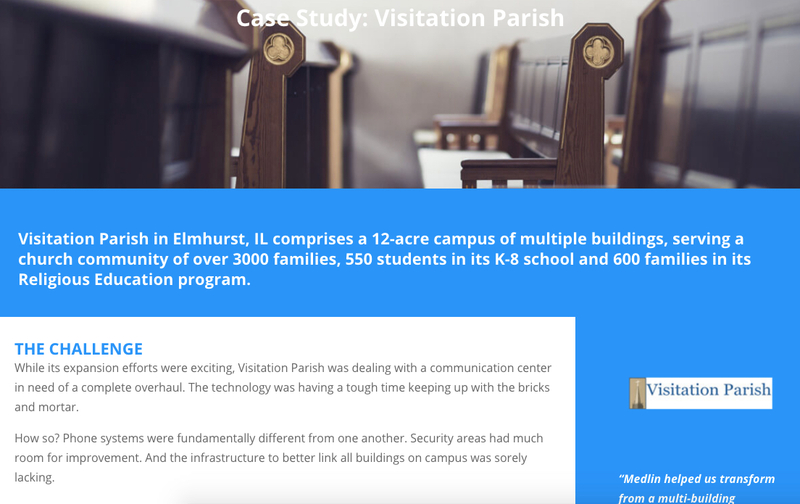 Front and center on Medlin’s home page, you’ll discover more about these experiences, which sends you right to the corresponding Case Studies on the featured clients. We’ll bet it won’t be too difficult to envision how we can address a similar challenge in your environment. Whether you’re a national retailer of 100+ stores or a single house of worship. 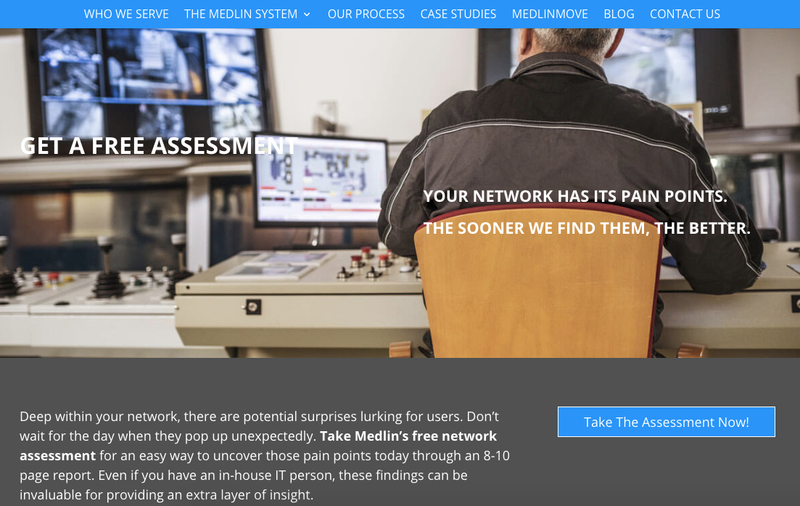 Head to the top of our Home Page and click on the blue bar marked, “Get A Free Assessment.” Directly from our site, you can start the process for receiving an 8-10 page report on your network from Medlin Communications absolutely free. This sets the stage for a highly efficient follow-up visit from our team to discuss the findings in greater detail and prioritize next steps based on what you’re striving to achieve. So you don’t have to wait another day to start tackling the pain points of your system. It’s an example of a website that’s working harder for you. Even the best of systems, no matter the environment, experiences some kind of unexpected support issue. For so many of our customers at Medlin, every minute counts for getting the issue resolved. That’s why our website is highlighting a key program that you can’t afford to overlook – our Medlin Asset Protection (M.A.P.) Plan. When you’ve got a M.A.P., you’ve got a built-in program that covers you for system failures, unlimited remote support, system backup, on-site administration and training and more. And by the way, M.A.P. is a very smart plan for keeping your costs of system maintenance under control as well. Moving? You Came To The Right Destination. A really nice “added value” service of ours at Medlin Communications is called MedlinMove, which was one of our best kept secrets that not everyone knew about. Our new website is changing that by highlighting this service. Practically every business, as it grows and evolves, finds it necessary to move into a bigger space. MedlinMove was born out of the need to address the transportation of a system so it’s more seamless as opposed to a colossal headache. However, MedlinMove comprises a lot more than just moving. Our team plans the entire design and install of your system in a new location. The fact is no business can afford significant downtime. That’s why it’s smart to talk to Medlin Communications now about how to deploy a real plan from start to finish through MedlinMove. We’re excited to bring our customers insights on the latest technological trends that may influence their plans in the days to come as they grow their businesses. 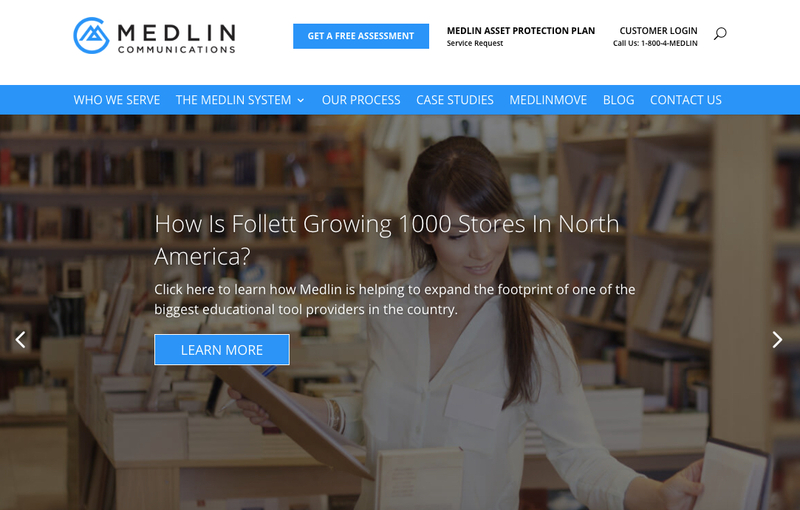 That’s where our new Blog on the Medlin Communications website comes in. Customers like you are concerned with issues about how to make your data centers work smarter, a plan for disaster recovery, the latest in security biometrics, how artificial intelligence could shape systems and more. You can expect some of the latest news about the company and our partners here too. Technology is never stale, so our Blog will aim to keep you in the loop as to the types of advancements that could very well shape your system tomorrow. Want to hear more about a particular topic we can help address? We’re open to all suggestions to shed light on it. Two Ways To Get Focused Help For Your System. Both In Seconds. Calling 1-800-4-Medlin couldn’t be easier. But you can also head to our Contact Us page, where you can click the checkboxes that describe all the services you need or have questions on. Who knew you could start addressing such a wide range of areas of your system this quickly? We did. That’s the efficiency of our team at Medlin Communications. Now found in a website to match. We hope you love how the new face of the Medlin brand is coming together, including our new website here at MedlinInc.com. Let us know what you think of it!